Wireless security cameras are fairly new to the market and they are becoming a lot more popular than wired systems. This is because with wireless systems, you do not have to install a wire to have it for your home or business. There are two main ways that wireless security cameras are powered: a wireless transmitter and batteries. A wireless transmitter can be placed in the home or business and as long as the camera is within range of this transmitter, it will receive power from it. Wireless security cameras offer the flexibility that wired cameras do not provide. These are easy to install and uninstall. What’s more, these can be hidden effectively to lull intruders and nosy neighbors to carelessness. So catch them on camera. Wireless security cameras function best when there is a clear line of sight between the camera(s) and the receiver. Outdoors, and with clear line of sight, digital wireless cameras typically have a range between 250 and 450 feet. Indoors, the range can be limited to 100 to 150 feet. Cubical walls, drywall, glass, and windows generally do not degrade wireless signal strength. Brick, concrete floors, and walls degrade signal strength. Trees that are in the line of sight of the wireless camera and receiver may impact signal strength. If you have decided to purchase wireless security cameras for your home, you are making a smart decision. However, you might be a bit confused as to how to purchase these cameras. By taking a bit of time to do your research and to properly plan your camera installation, however, you can purchase the equipment that you need without breaking your budget. 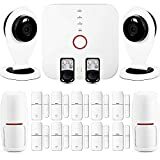 Once you have decided to begin using wireless security cameras for home protection and after you have purchased the cameras and accompanying system that you need, you might be wondering how to install your wireless security cameras. 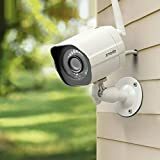 Many people think that they need to hire a professional in order to install wireless security cameras in their homes, but you should be able to do it on your own in just a couple of hours. What Are The Features Of A Home Security System? Is your home really safe? When we ask ourselves that question we start to think about whether the safety measures we have taken are enough to keep our home safe. Prevention is better than the cure! Place an appropriate home security system to prevent your home from burglaries. Today, safety depends on how well prepared you are. With monitored residential security and alarm system, you can empower yourself and give your family peace of mind. Government statistics have shown that around 60% of burglaries carried out on homes fitted with home security system are unsuccessful. Losses due to burglary average $400 less in residences with security systems. 90% of police believe alarms deter burglary attempts. This suggests that burglar alarms are a useful deterrent for prospective criminals. Be sure your home always looks occupied. You can buy timers to have radios, TVs, lights and other electronics go off and on at different times. This makes it appear that someone is home. This can be a terrific method of securing your home and keeping burglars at bay. There are three types of alarms. They are a Burglar Alarm, Fire Alarm and Safety Alarm. These three are commonly found in electronic form today. – It detects intrusion, fire, burglary, and carbon monoxide presence. – The alarm alerts you to a problem with a very loud beep and in some cases, is accompanied by bright flashing lights. – Features also include, it beeps when doors or windows are opened. – Fire alarm sensors are of three general categories: smoke, flame and heat. – It can be activated and deactivated with either a simple turn of the key or a key pad control panel. – Door alarms are relatively inexpensive and reliable. – You no longer have to hire an electrician to run the wires through the ceiling or walls. Hence, many people now install their own door alarms. Nothing is more important than protecting your home and family. There are many alarm companies that offer a wide range of services that can save your life and property. In the 30 -35 years following 1960 about 93% of American households had their homes protected by installing fire alarms. This was not limited to any one form but apartments, single or family homes and dormitories all got their homes installed with some kind of alarms as required by the law which was made mandatory in 1980s. 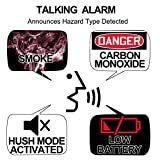 Alarm goes off hooting and alerting you in the event of fire breakout. Very sensitive, as they are, fire alarms alert you early facilitating escape with your kin and kith to safety. It protects loss of lives and property. It has been the single most important savior of lives and properties from fire hazards over years, according to a survey; no doubts about that. It is fine, but how will it alert the hearing impaired persons who can’t hear the hooter going off? The Federal law, popularly known as Americans with Disabilities Act of 1990 makes it mandatory for manufacturers of fire alarms to include strobe lights in addition to audible alarms. Often fire fighters complain of hearing problems early in their lives. And they are not unjustified with this especially when fire alarms making loud sounds in the range of 90 – 100 decibels. The hooter or horn is designed to produce a variety of sounds depending on the distinct purposes. For example, ‘code 3 temporal pattern’ is used only when evacuation is necessary; and thus the alarm pulses too, vary in times. Other patterns include continuous tone, march time etc. While buying fire alarms you may want to consider a few points. Generally, in public places where large number of people work together, ‘code 3 temporal pattern’ suits better which can well be heard over the rolling noise generated by the crowd, and for a home purpose a continuous tone type would suffice. Buy fire UL listed alarms. In case of confusion, don’t hesitate to consult the fire department. Occasionally, fire departments offer alarms at discounts too. Offensive fire alarm pranks in hostels or dormitories, when students pull alarms are not viewed lightly in America. Students and pranksters must understand that it wastes the precious time of fire departments and needs evacuation of entire buildings at times. Get tips on installation and mock drills from fire department. The bad news is that crime statistics, death, injuries, home intrusions, and loss of property continue to rise. It is hard to believe, but according to FBI statistics a burglary occurs every 15 seconds in the United States. 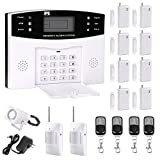 The good news is that there has never been a time when such a variety of quality security equipment has been available, and at such affordable prices. Let’s fight back! When talking about home security equipment, one size does not fit all. Security equipment must be tailored to meet the particular needs of each house or company. One may need entry detection, while another needs camera surveillance, and another may need motion-detection floodlights. Let us look at some of the many choices available. 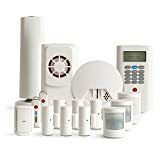 Home Security Systems – Many articles have been written on this subject and the basics are probably known by most readers. Systems are either wired or wireless, just as the names imply. For a renter, a wireless system is the logical choice, as the installation does little if any damage to the premises. And, the system can be taken when the renter moves. Wired is the system of choice in an owned residence, but it has its pros and cons. Because wires are run from every protected point to the alarm control panel, holes must be drilled and wires fastened. However, when done by a professional company, the work is done with care and is mostly concealed. Labor is the main contributor to the high cost of a wired system. At today’s labor rates, several technicians working in your house for a week can run up quite a bill. A money saving tip here is do-it-yourself. If you have the basic knowledge to fix a lamp cord, you can read the wiring diagrams and install a wired system at a budget cost. Your car, motorcycle, camper, or boat on trailer, can also be connected to the security system. Many types of motion detectors are available, some even “pet friendly”. Regardless of wired or wireless, ultimately either system can sound a local alarm, connect to a monitoring station, call your mobile phone, or be custom tailored to meet the exact needs of the user. Home Automation – Here is an area of products you will want to look at while security shopping. The evolution of security products has blended into a new category of home automation products. We have traveled well beyond the wireless garage door opener. 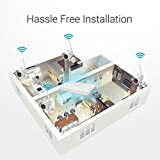 Your home computer can now be used to control appliances, lighting, cameras, store camera video files, check on your home, turn on and off your security lighting and even your sprinkler system! Hidden cameras in their traditional form are still very good instruments for what they do. Even if this isn’t a beginner friendly model, there are enough features here to keep any user happy for years. Hidden cameras have become a lot more obvious in this technically infused world. Even if someone doesn’t fully understand the technology, they know what to look for if they suspect a hidden camera. That is why several companies have begun coming out with better-hidden cameras, many of them with advanced technology . Not only can these cameras hide in plain sight, but many of them can be used by the person being watched and they would never know. Hidden cameras are often necessary when you need to monitor something without someone knowing you are recording them or when you need to record something when you can’t be on site. 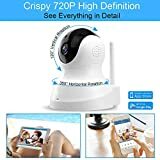 When a simple surveillance video camera is too big and obvious to record in secret, a tiny or hidden spy camera may be perfect for your needs. So you’ve paid off the loan, and the mortgage, done the renovations, the paperwork and now your home is finally your own house. You can’t help feeling, however, that you aren’t quite ready to sit back and rest easy. What if someone breaks into your house, damages and steals your property? What can you do to safeguard your space against burglary? For a medium or large residence, surveillance just might be a good idea. Before you start picturing Richard Dreyfuss and Emilio Estevez in Stakeout, let’s define our terms. Surveillance is, quite simply, the process of monitoring people, objects or processes for conformity to certain expected norms. More specifically, it consists of monitoring for deviations from safe, non-threatening behaviour. It may or may not interest you to know that, in French, the word means ‘watching over’. Surveillance includes any form of observation from afar by means of technological devices. This refers to phone tapping, directional microphones, bugs, subminiature cameras, closed-circuit television or CCTV, GPS tracking, airborne or satellite reconnaissance as well as computer and internet surveillance. 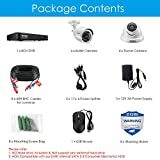 CCTV is perhaps the most relevant device for you, as a homeowner, so let’s look at it in some more detail. CCTV consists of a camera, or cameras, linked up for the purpose of surveillance. The cameras are all directly liked and viewable through monitor screens. CCTV was first pressed into service to help watch against bank robbers, but the applications have increased to the point where the technology is easy to use, and relatively affordable enough to be used in home security set-ups. CCTV is supposed to aid in crime fighting in two ways –deterrence and detection. It’s assumed that the presence of clearly visible cameras in an particular location would serve to scare of would-be thieves. But the criminal mentality is notoriously hard to fathom, and this isn’t always the case. Interestingly though, CCTV systems do seem to be most effective as safeguards against car theft. Still, it’s worth assuming that the presence of a CCTV system should put off a fair number of would-be burglars. CCTV has made a remarkable difference to crime detection, that’s for sure. Several prominent murder cases worldwide were solved with the aid of CCTV footage, and CCTV has also been useful in locating missing persons and runaways. Look at it this way – if it comes to the worst, and your house is burglarised, CCTV footage can provide crucial clues to the police and help in capturing the criminals and recovering your belongings. This is in fact the best option for you as a homeowner. Traditional CCTV is more adept at providing a flow of images to be constantly monitored by security personnel, while this new technique, dubbed Closed Circuit Digital Photography (CCDP) does not require around-the-clock observation, and produces high-quality images that can be used in the event of a burglary. As in the case of CCTV, it is worth considering that the presence of a surveillance system will itself serve as some amount of deterrent, if clearly indicated. Used in conjunction with motion sensors, as well as anti-burglary devices such as alarms, high fences, trap wires and the like CCDP can form the basis for an effective and reliable home surveillance system. One that lets you finally kick back and relax in the comfort and security of your own home! a 4-conductor wire between the security panel and the main phone company’s box. security system and attach it to their equipment. The homeowner doesn’t realize there is a problem because there is no apparent change to the phone service. The bottom line is the phone line is the lifeblood of your home security service, you should test your system on a regular basis and make sure you notify the alarm company if you make any changes to your telephone service. – The perimeter of your house to prevent burglars from intruding on your home. – Enclosed areas within the house should be secured as well, in case of fire. – Your garage should also have an intruder alarm to protect your vehicles, aside from the anti-theft device on the car itself.